When it comes to transfer files between two Android phones, Bluetooth is undoubtedly the best, easy and fast way. But there are few limitations of sending files via Bluetooth. For example, it works in a particular range only (generally less than 10 meters), and the most annoying thing is that, the speed is very slow. Also, sometimes you may find it hard to pair two devices with Bluetooth. Now consider a slightly different scenario: You want to send or receive a movie from your friend's phone which is very big in size (say more than 1GB). Will it be possible to transfer it over Bluetooth? Not at all as it may take a whole day to send such a big file and you actually don't know when both phones will disconnect and you have to start over again. From above study, we can conclude that it's nearly impossible to transfer large files between two Android phones over Bluetooth and the main problem is speed. To overcome this, you can use other ways to transfer files. For example, you can transfer them over Wi-Fi Hotspot connection, which is quite fast and easy too. Here's all what you need to know about this topic. Of course, you need to use a third-party app to transfer files between two Android phones over Wi-Fi Hostspot connection. Don't worry, it will cost nothing for you. In fact, there is no need to turn on the data traffic or Wi-Fi. Such apps simply creates a personal Hotspot connection on one phone and then sends or receives file over it. There are a couple of apps available on Google Play Store for free. 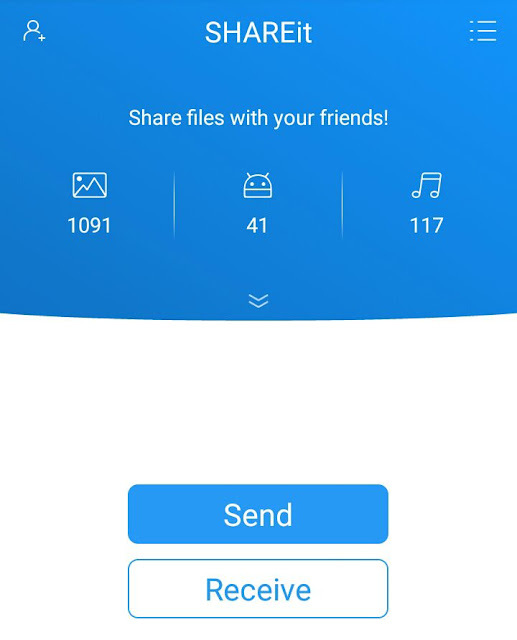 SHAREit, which is a file-sharing app, also make use of Wi-Fi Hotspot technology to share files between two devices. Its speed is 200 times faster than Bluetooth. You can send photos, apps, videos and music through it. 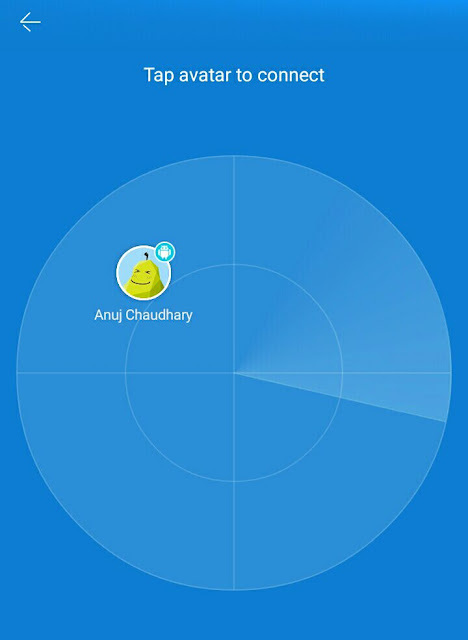 To install this app, first open the Google Play Store and search for "SHAREit". Now click the app and then tap "Install" button. Allow the app permission and that's it. Note that, you have to install this app in both the Android phones. If one of them is already having it, you can easily send it to other phone via Bluetooth, instead of installing it separately. Make sure that you are using latest updated version to get better user experience. Once the app is installed in both the devices, next you have to create an account on it. Simply launch the app and follow on-screen instructions. Accounts are created offline just to identify the devices. So their is no need to turn on the data traffic. First of all, open the SHAREit app in both devices. In sending phone, click the "Send" button. Now find and select all the files you wish to transfer and then tap the "Send" button again. Generally there are four tabs where all files are already sorted on the basis of their format. Under "Files" tab, you can use an additional search option to find the files quickly. After this, the app will now create a Wi-Fi Hotspot connection. So make sure to click the "Receive" button in the receiving phone simultaneously. Finally tap the receiving phone's avatar in the scanner of the sending phone to connect and that's it. This way, you can transfer GBs of data at a very high speed in a plenty of time. Once you have received all the files, close the app and turn off the Hotspot feature in both devices to save your phone's battery life. Where all files are saved? By default, SHAREit will create a new folder named as "QieZi" in your phone's internal memory where all the files will be saved automatically. If it's a media file, you can also directly access it from the Gallery or other media apps such as MX Player. 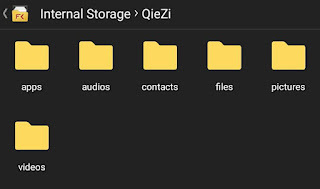 First launch the file manager app and go to "Internal memory > QieZi". Here you will find 6 sub-folders where all files are saved in their respective folder. 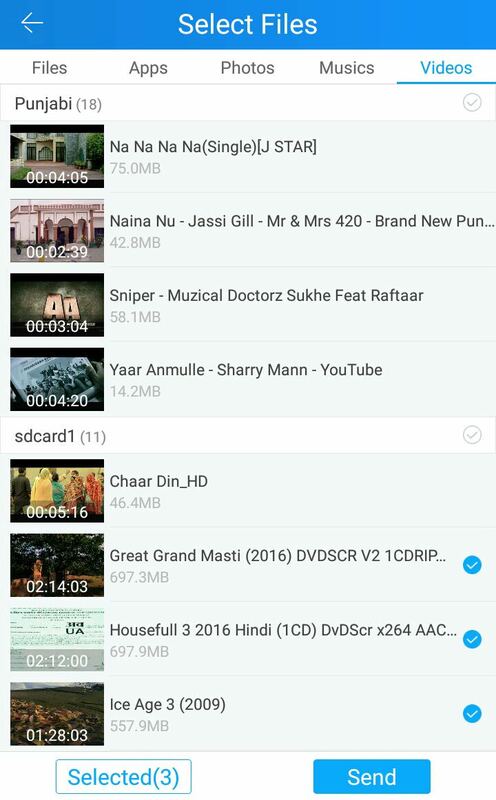 For example, all videos (such as 3GP, MP4, MKV etc.,) will be saved in "videos" folder. Alternatively, you can search the file name to find it directly. 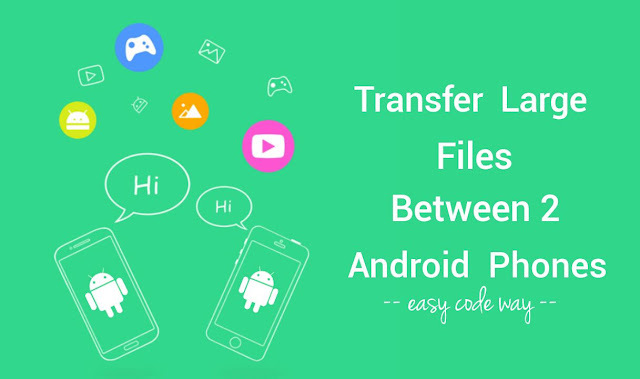 So this is how you can transfer large files between two Android phones quickly. If you have any doubts, fell free to drop them in the comments. Is there any other way you know? Stay tuned for more interesting tutorials.